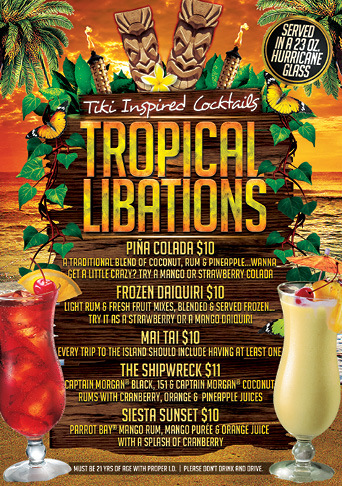 Come on in and enjoy. 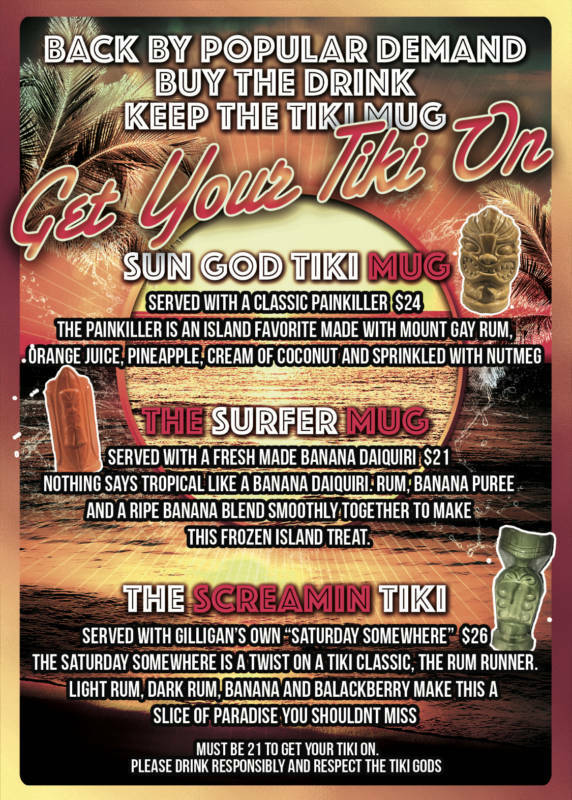 Gilligan’s has been a Siesta Key Village landmark for 14 years. This is not only due to the Cold Beach Cocktails, Great Service and the Incredible local Entertainment. It is also because of our food, (and the Awesome Ambiance). 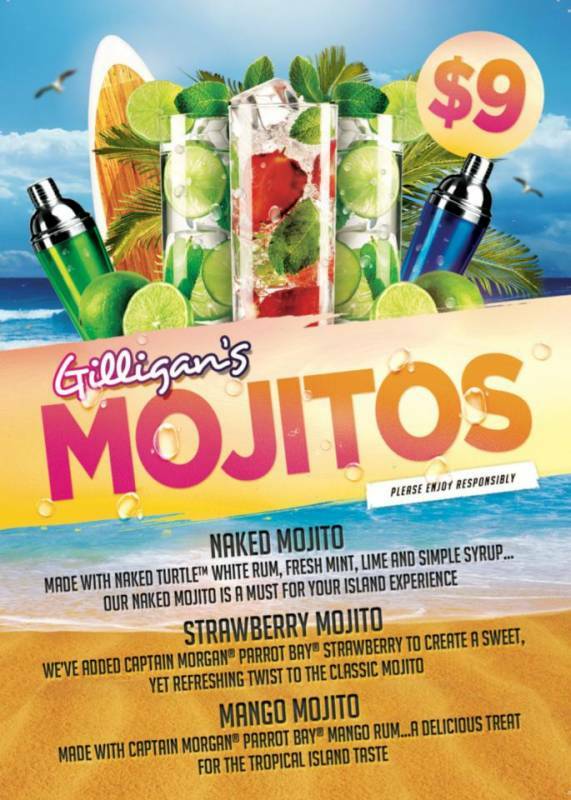 Gilligan’s offers a wide selection of Fun Beach Food as well as some Fresh Local Tropical Favorites and Creative Specials. 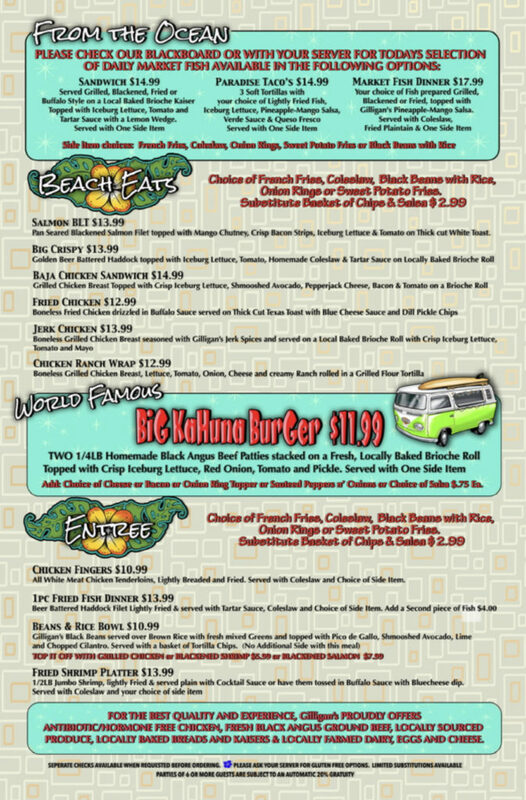 We take pride in our food and try to offer the freshest selections available. From Homemade Sauces and Salsa’s to our Fresh Seafood Selections. Gilligan’s Homemade Burger is one of the Favorite selections here and we use only Fresh Black Angus Ground Beef to make them and of course we serve them on Fresh Baked Buns delivered daily from a local bakery. 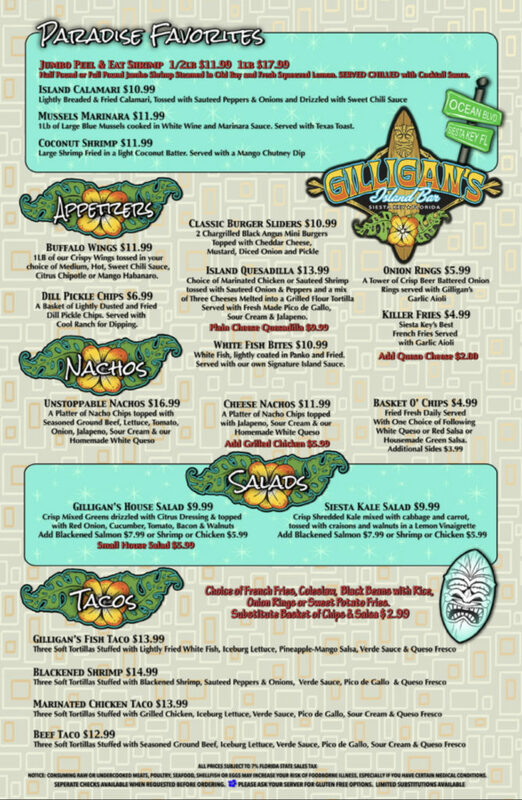 Our goal here at Gilligan’s is to offer our customers a fresh and delicious meal along with what will surely be the Best time you can possibly have on Siesta Key. Eat up, live life and have some fun in Paradise. Sandy feet are always welcome.